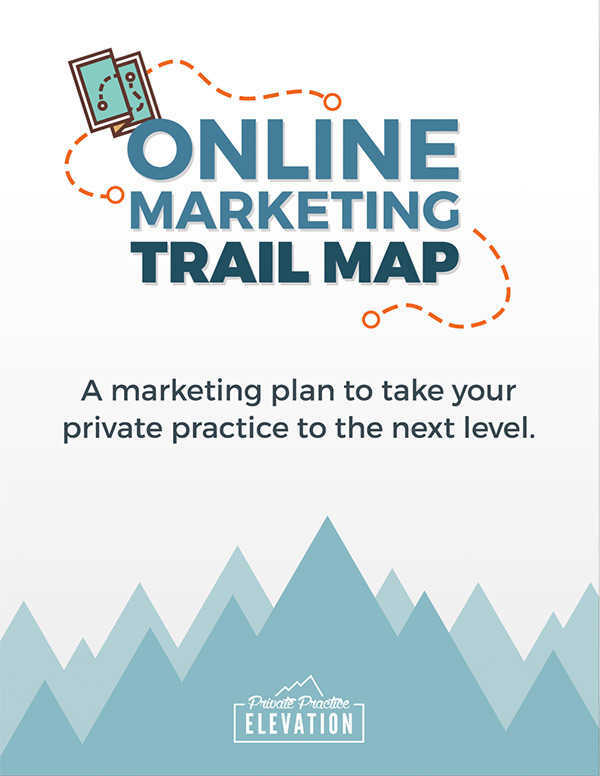 Get a customized online marketing strategy specific to your private practice. I know what it’s like to try and build an online presence on your own. The Googling, the questions and all the roadblocks that can come up along the way. This is why I offer consultations as a way to help you overcome any challenges you may be facing with your therapy website and keep you moving forward. Got a problem or just want to pick my brain? You can draw from my 15 years of web design and marketing experience and I’ll do my best to provide actionable advice you can really use. Whether you have a website you love that you want to take to the next level or are just starting out and not sure what your website options are, consultations are designed to give you answers and the confidence you need to move forward with marketing your private practice online. The first thing you’ll do is fill out the form below to give me an idea of the challenges you’re facing and what you’d like to talk about. Once you submit the form, you’ll be taken to a PayPal checkout page to pay for your session. Once payment is complete, you’ll see my Calendly website, where you can choose a 1-hour time slot that works with your schedule. Behind the scenes I’ll get notified of your form submission and you’ll be added to my calendar. I’ll review the answers to your form and do a little research on your current website and any challenges you identified in preparation for our call. Then, on your chosen date and time, we’ll chat using Zoom and work through your challenges together. You can use your consultation time to pick my brain about anything web design or online marketing related. Think of it like coffee with a friend. Are you having trouble understand whether your website is actually converting? Need a professional designer’s eye to tell you what’s working (or not) on your website? You can ask me anything and I’ll do my best to help you find the best solution that works for you and your practice. Do you have a website already but want to get some fresh eyes on it to make sure it’s effective? I’d love to help. With a website evaluation you’ll get the advice of a professional web designer without the commitment to hire one. We’ll walk through your website together and I’ll give you tips on ways you can improve it so that it best communicates the services you offer as well as ways to increase usability. If you have trouble finding a time slot that works for you, please email me and we can find a time that works. Cancellations/reschedules can be made up to 24 hours prior to our scheduled consultation. Cancellations within 24 hours will not be refunded. I know life happens, so you can reschedule up to 2 times. After that, you forfeit payment and will need to schedule and pay for a new consultation appointment. What do you like the most about your website? What do you like the least about your website? Be specific. What are some specific questions you’d like to discuss on our call?